Here Comes The End ~ The Bucky Channel - The World of Sports from Wisconsin's Perspective. 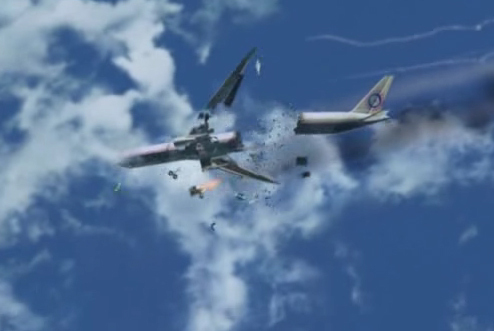 The show started with a plane crash which left survivors stranded on an island in the middle of the Pacific, but those of us who have been watching Lost know that this isn't a just about getting rescued. In the interest of not spoiling things for my brother who has just began watching the DVDs I won't get into specifics, but I did want to pay a quick tribute to the show, as tonight a new episode will be broadcast for the last time. I started watching Lost on day one, as I got together with a group of friends in college to watch the pilot episode of a show that was receiving an enormous about of hype. Intrigued, we watched it and were impressed with what we saw. Over the years, those friends have faded and my love for the show came and went, but six years later I can't think of too many things I've been looking forward to as much as the finale. I watched every episode of season one pretty religiously, but fell off the wagon sometime in the middle of season two, only to hop back on in season three. Boy am I glad I did. Clearly, I had some catching up to do on the DVDs, discs which I have watched multiple times by now. The mystery and the mythology of the show have been captivating, but for me it's always been the character moments as to why I kept watching the show. After six years, I can honestly say that Lost is without question my favorite television show of all-time, as there is just nothing else like it. Sure, there were bumps and bruises along the way, but never has a show given me so much pleasure in watching it. That sounds kind of gay, but it's true. I look forward to it every week like it's Christmas, because the emotional payoff after watching the episodes and the moments they provide make it worth it. As much as I want to keep enjoying this show every week, I do want to see it end so that I can see how it all plays out. Most people want to stay alive long enough to see their kids graduate or to live out their dreams, I've always said I just want to stay alive at least until I can see how Lost ends. After that, every thing else is gravy, I just really want to see how this thing ends. I don't need every little mystery or every single question to be answered (although the unresolved ones will be explained on DVD), I just want to see the final outcome of these characters, how their issues get resolved, and if they achieve their shot at redemption. It's a testament to the show that it can get people like me so emotionally invested in the outcome of fictional people. I only deleted the comment because I know of a few people yet to watch the finale. But to respond to the statement, I would say that while yes, what you said was true, that happens eventually. To me, the series ends with what happened on the Island, and the sideways stuff was all bonus.